What Are The Advantages of Aluminium and Electric Blinds? 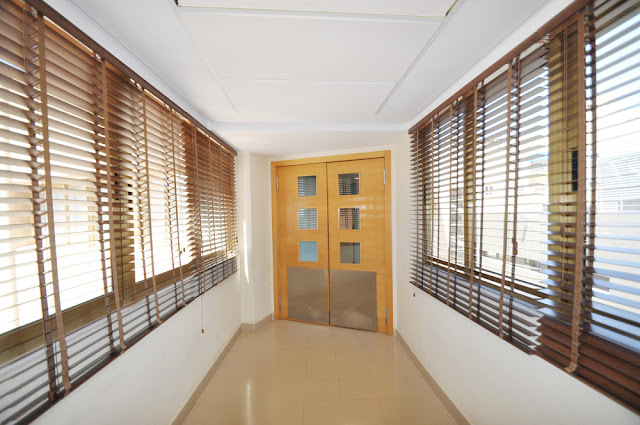 Blinds are most commonly used on windows to prevent from dirt, dust and harmful sunrays and a solid barrier to protect our interiors from the external environment. The use of blinds, primarily Aluminium and electric blinds have turned out to be extremely popular in residential and commercial spaces. There are a lot of people that prefer to have blinds in their house only due to the possible advantages that it is able to deliver. In this article, we will discuss more about these benefits and the difference that it can bring in your house. Eco-Friendly: Blinds are known to be one of the finest eco-friendly means to save on your electric bills. But, how does this happen? With the use of blinds you can have a protected barrier for the interiors. This barrier prevents exterior agents like cold-waves or heat waves that can affect the temperature inside. Since electrical blinds work with little energy they are considered to be an eco-friendly medium of maintaining optimal temperature inside the house. Low Maintenance: Maintaining the blinds made out of Aluminium is quite easy. Cleaning them occasionally is important in order to get rid of the possible dust and dirt deposits. There are many professional graded blind cleaners available to help you in achieving clean and tidy blinds. Other than that, a simple mild detergent and water solution can do wonders for the process of maintenance. Easy on Stains: Stains caused from abrasives, staining agents or fluids can be difficult to remove, and with time these stains keep getting worse. However, when you use Aluminium and electric blinds then there is no question of having to face such circumstances. This is because Aluminium prevents the formation of permanent stain and so even a simple wipe with damp cloth can help in getting rid of any form of stain. In order to get the efficient results, it is even advised to use high graded stain cleaners that would serve best for the purpose. Durability: The durability of Aluminium blinds ranges from 8-10 years depending upon the quality of material that you choose. With proper maintenance and care, this durability can be enhanced to 15 years and this speaks volumes about the versatility of these types of blinds. This is the reason why experts stress on the importance of considering durability whenever you choose a blind for your house. Aesthetic Appeal: The electric and Aluminium blinds are not only known for their excellent functionality but these are loved for their appeal as well. From residential spaces such as bedroom, living area, kitchen till the commercial spaces like offices, hotels, cafe and even restaurants; the use of such blinds can take the entire decor of your space to the next level. An important aspect here is to select the appropriate shutter that would complement the theme of your space. Shapes & Sizes: If you thought that Aluminium and electric blinds are available in specific shapes and sizes then you need to think again! Since, there are a wide range of stores that allow you to customize the dimensions of the blinds in accordance to your specifications. Customization can be done after measuring the area where you want to install the blind. Along with that you can even discuss about the possible changes that you wish the blind to have, so that it can be crafted to perfection for your house. So these are the above benefits and advantages of Aluminium and electric Blinds. If you want to know more than visit here and get more details on them.